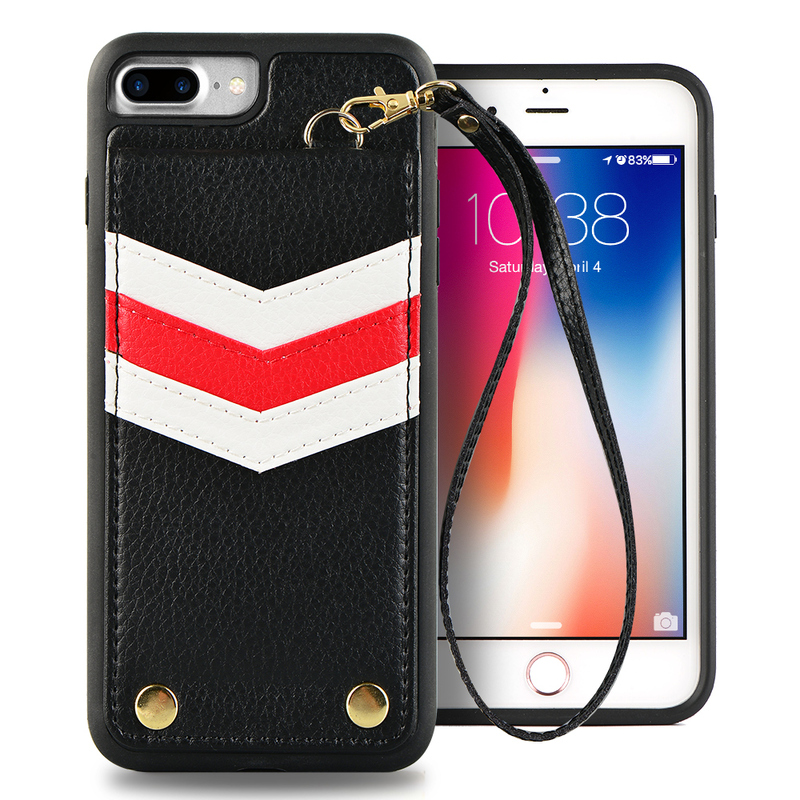 【Specifically for iPhone 7 plus/ iPhone 8 plus】This iPhone 7 plus/ iPhone 8 plus wallet handbag fit for iPhone 7 plus/ iPhone 8 plus well. 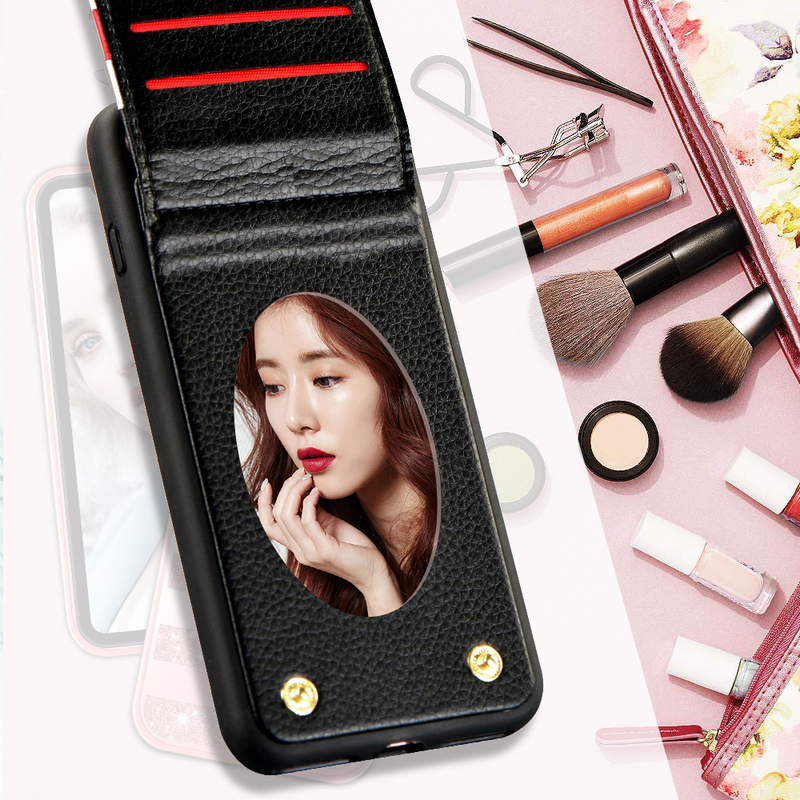 【6 Credit Card Slots+Mirror】Stylish designed magnetic cover with 3 credit cards slots separately outside and inside, big enough space for ID card, transit card, debit card and other essential cards. 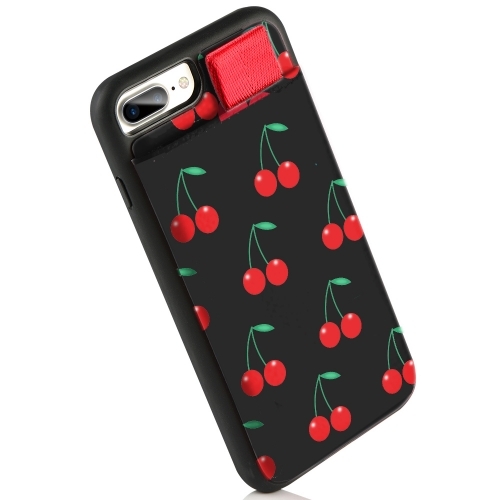 Plus hidden back mirror, you can wear lipstick and check your makeup anytime and anywhere. 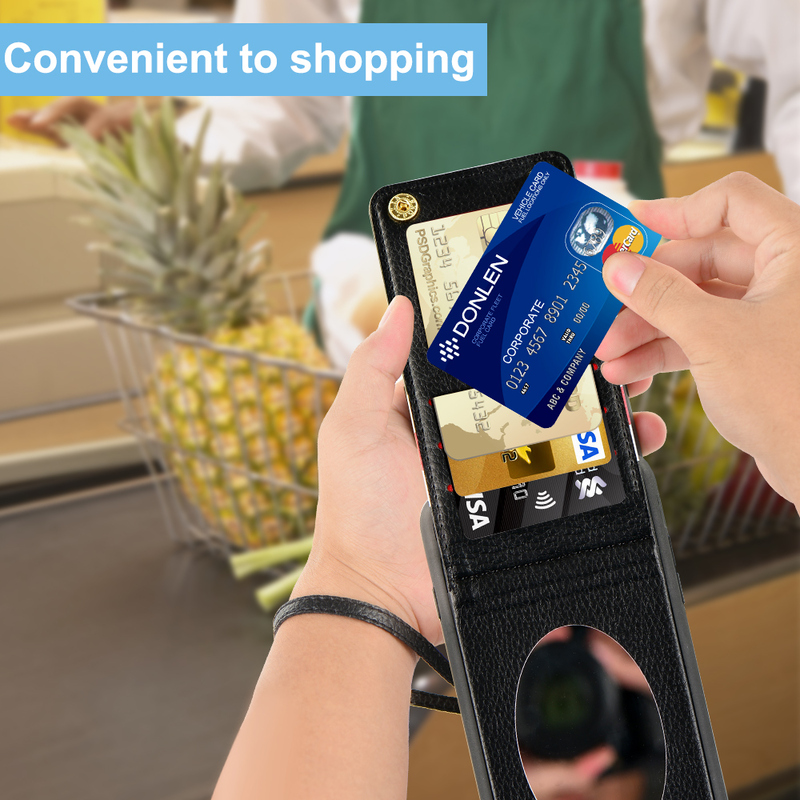 【Handy Detachable Wrist Strap】With wristle strap, you can carry it as handbag, check your iPhone conveniently, no more worry to miss phone call, and avoid iPhone to fall down. 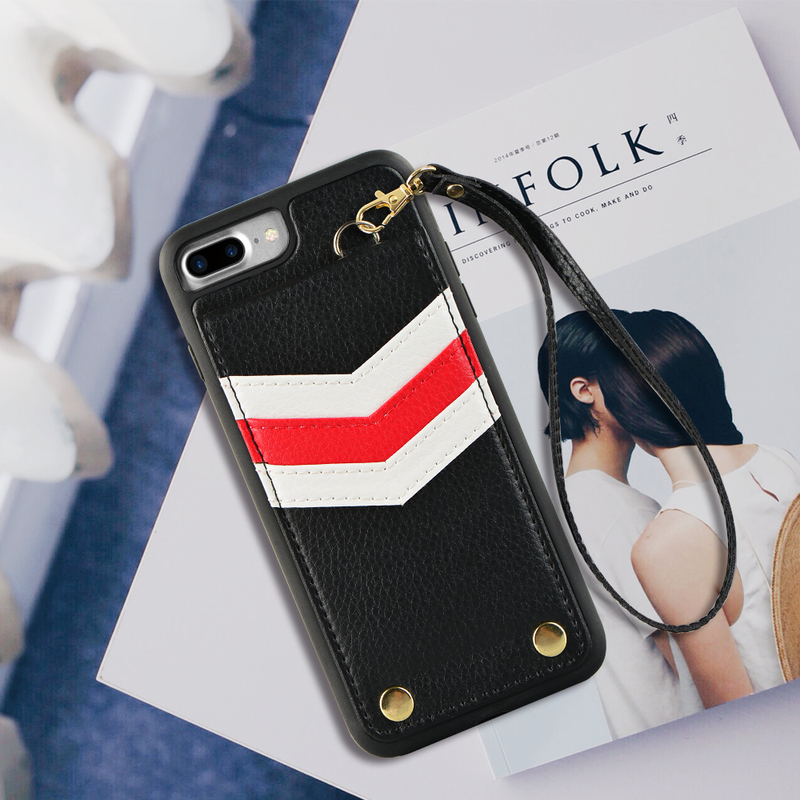 【High Quality Material+ Delicate Craftmanship】The cover is made from Premium Soft PU material, provide a good protective for your iPhone, 100% handmade craftmanship make full access to all ports and function buttons. 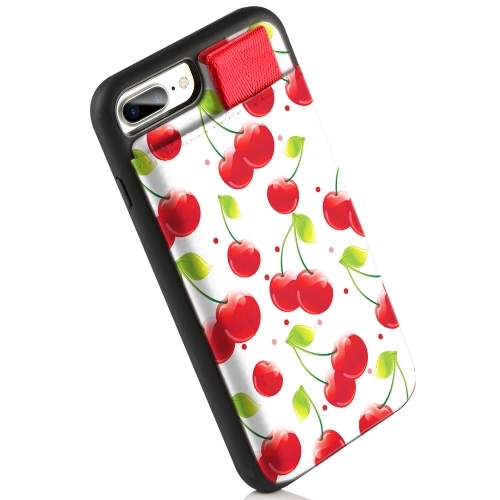 【Service & Warranty】LAMEEKU offer 18 months warranty from date of purchase. If for any reason you are not entirely satisfied, please feel free to get in touch with our customer service team. LAMEEKU magnetic cover wallet case, combination of a wallet and cellphone case, stylish looking case make your life easier. 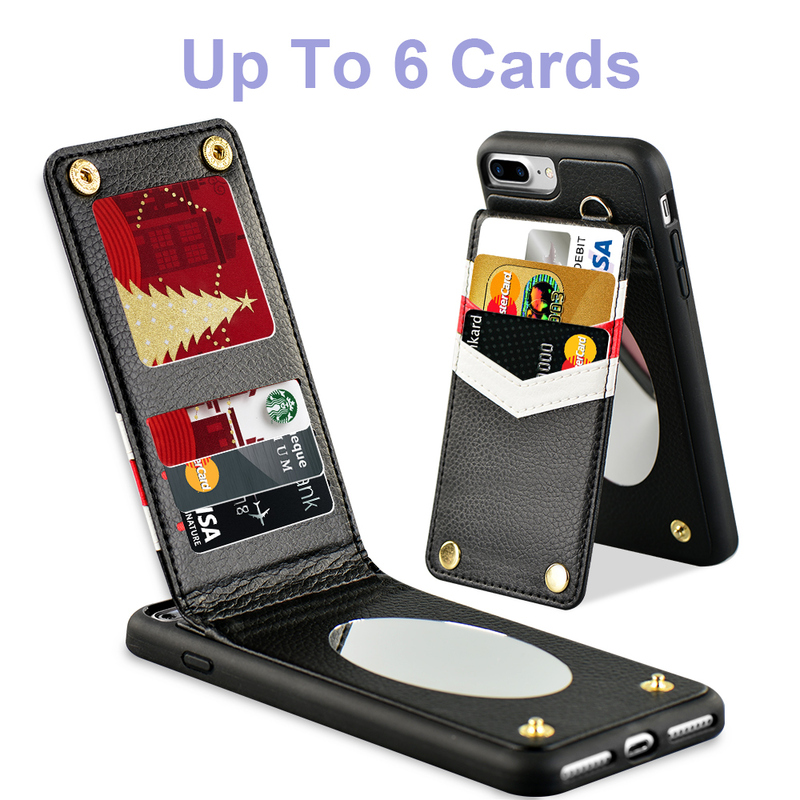 --6 credit card holder： Outer 3 card holders and 3 hidden back card slot, give totally enough space for you to store ID card, debit card and other essential cards. 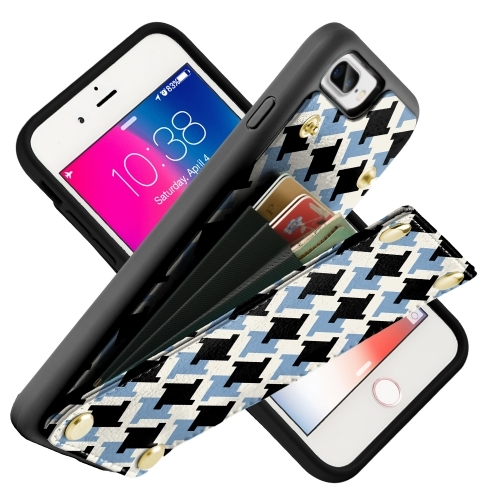 --Double magnetic snaps：Double magnetic with strong absorption but quite easy to detach, don’t worry about losing cards and cash. 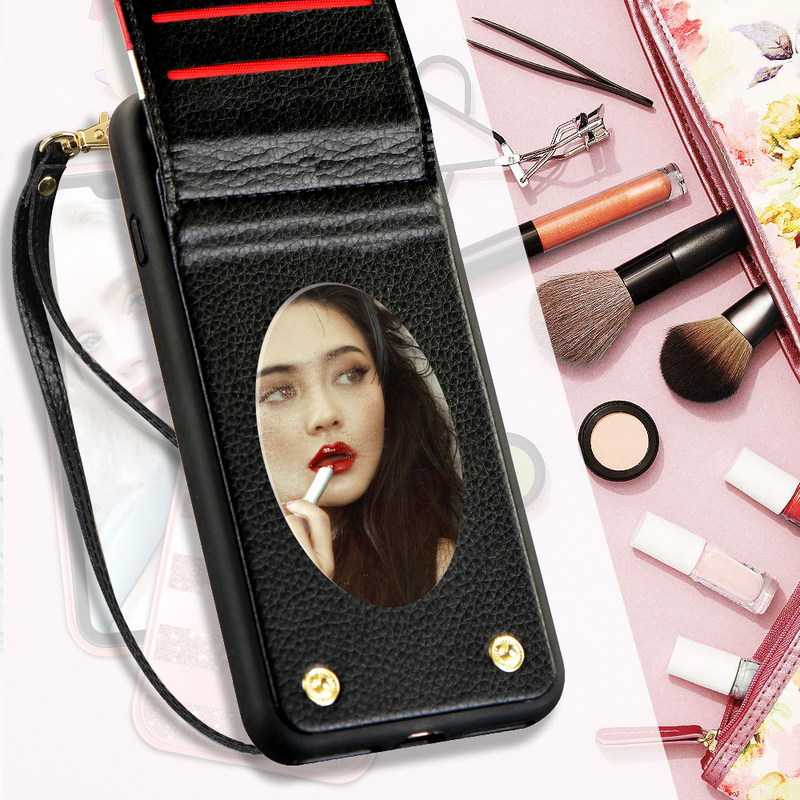 --Fashion mirror design: This case with hidden back design, perfect to wear lipstick and check makeup. 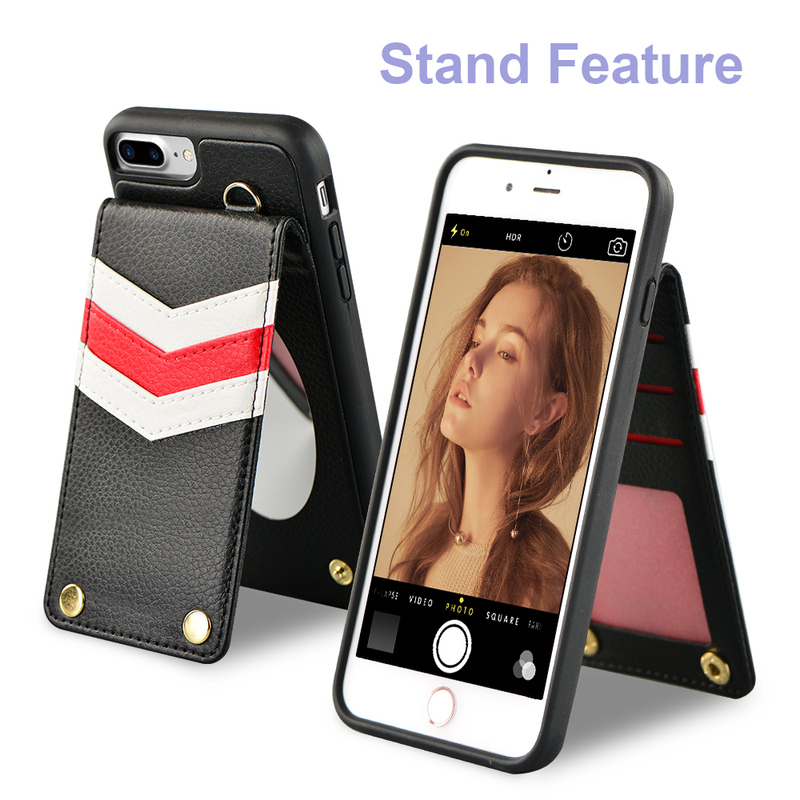 --Stand view feature： Put this iPhone wallet case vertically, adjust your comfortable angle, enjoy the fun of video. 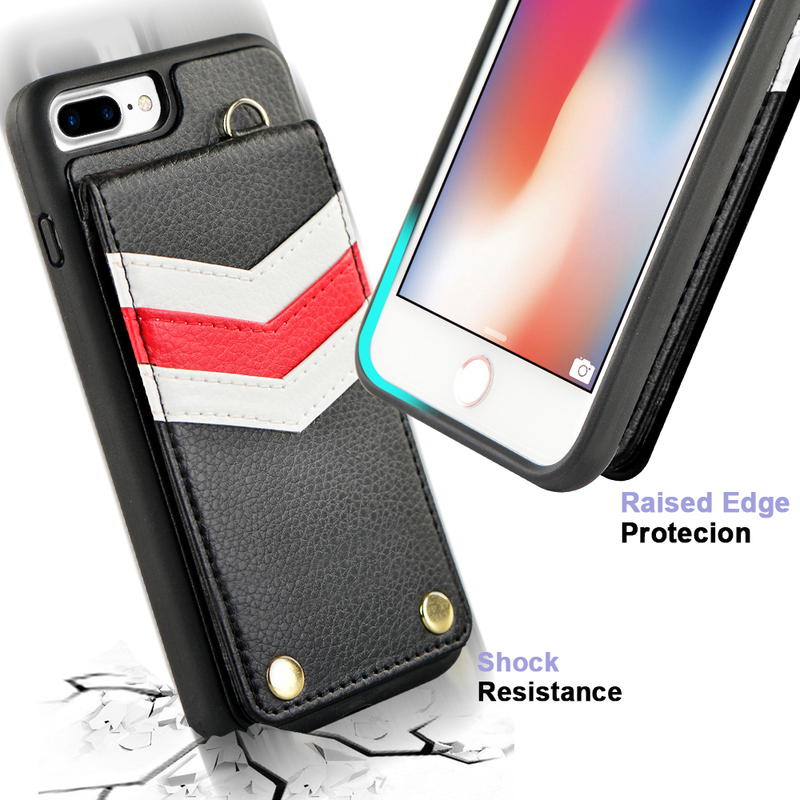 --High quality： The main materials are durable soft PU and premium TPU material, protects your phone from accidental bumps, scratches, or falls. 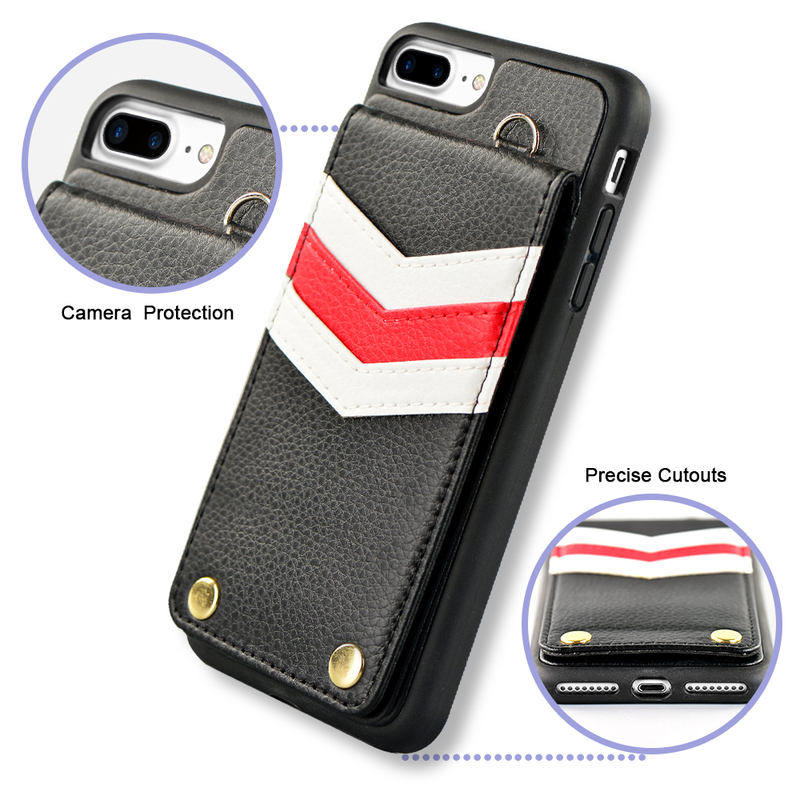 --Delicate workmanship：Precise Cutouts Fits perfectly on your Apple iPhone 7 plus iPhone 8 plus [5.5inch], you can use speakers, camera and other functional ports easily without remove the case. 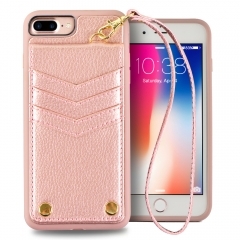 --Fashion wrist strap： Come with hand strap which can be detachable, using it personally, like a handbag purse, check your iPhone anytime and a good tool to avoid iPhone fall down. 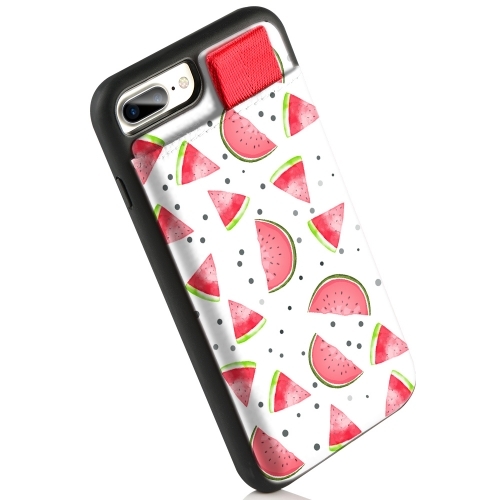 Specially perfect for traveling.